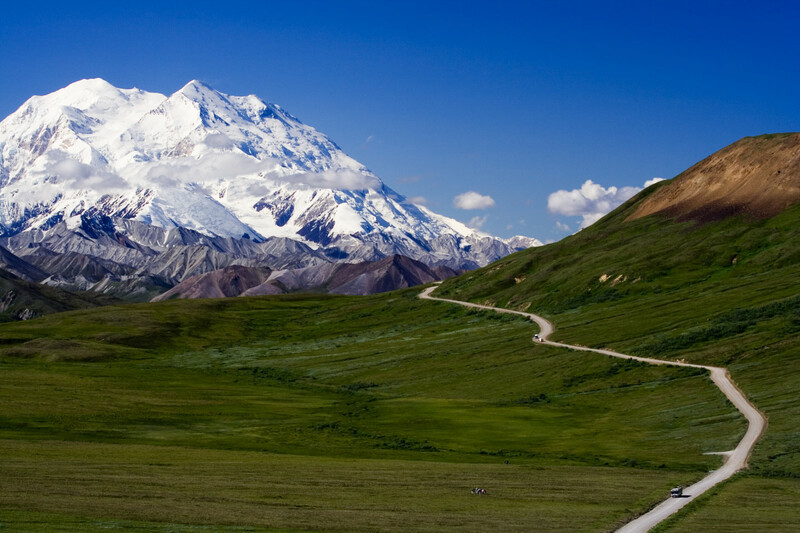 The National Park Service oversees more than 395 National Parks, monuments, and historical sites. 58 of these are National Parks which showcase the most beautiful and unique natural areas of the United States. Most National Parks encompass huge areas of land. 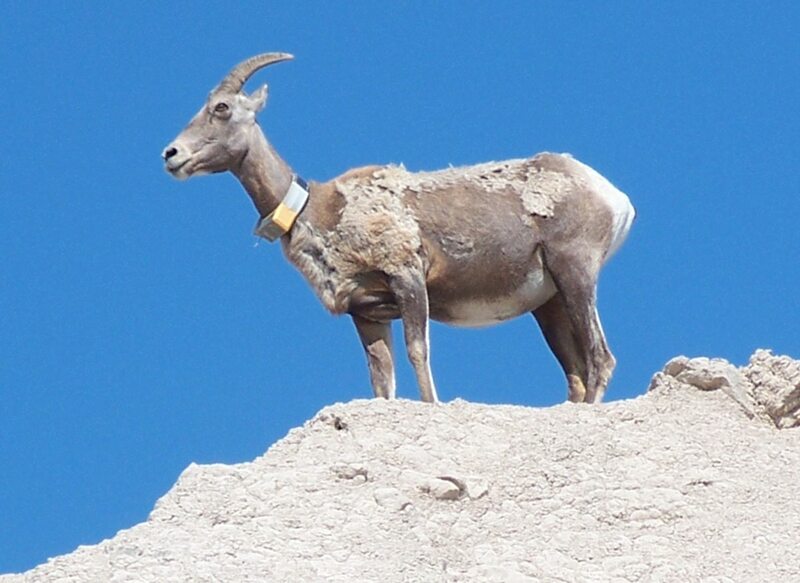 Death Valley National Park, for example, is 3.3 million acres. Yellowstone is 2.2 million acres, Everglades National Park is 1.5 million acres, and Olympic National Park boasts nearly a million acres. Because the parks are so huge and are often located in wilderness areas, visitors need to plan ahead for their food and lodging and sightseeing. Even the largest National Parks usually have only one or two restaurants that can be many miles apart. If there are any stores at all, they are either small convenience stores geared towards campers, or gift shops. Otherwise, these vast areas are mostly wilderness. 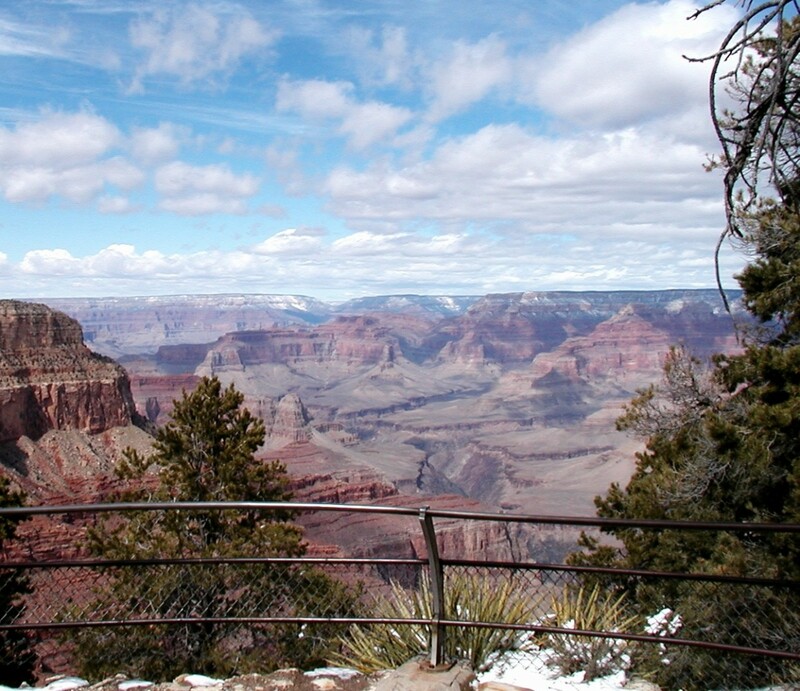 Though some parks like the Grand Canyon have sidewalks in popular viewing spots, many interesting sights can only be viewed by walking rough paths. 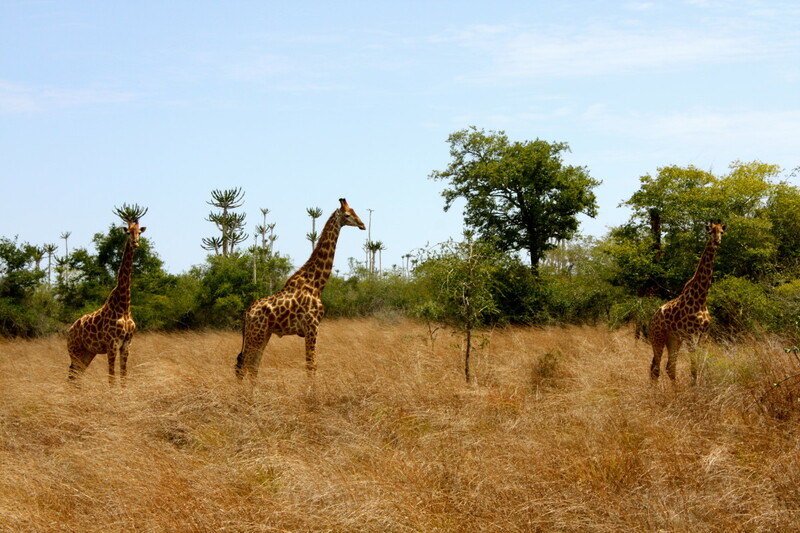 Tourists need to be prepared as they venture out to see the natural beauty of these parks. Before I give advice on comfort and safety, let me mention a few things about lodging and camping within National Parks. If you are planning to stay in a hotel, do consider staying in one of the National Park System lodges. 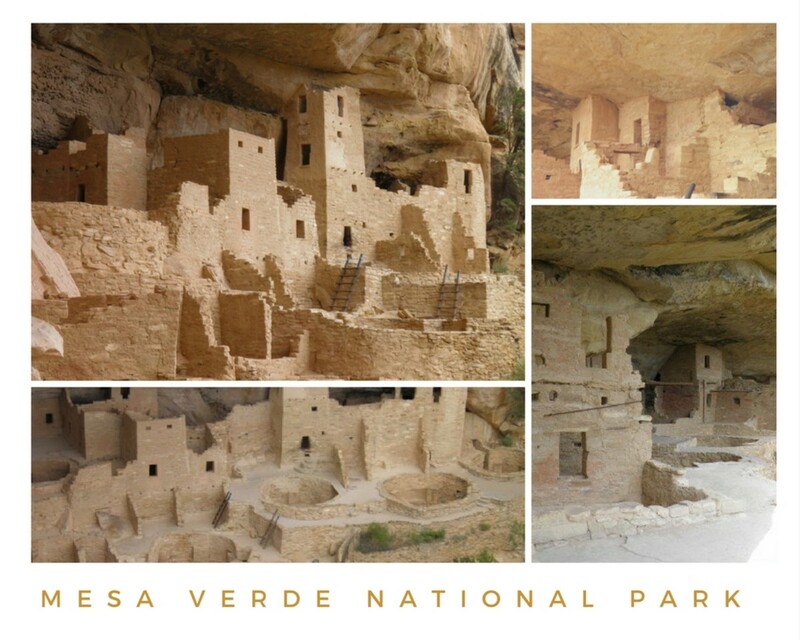 Many, like the lodges at Yellowstone National Park or the Grand Canyon National Park, are beautiful, historic places that are within walking distance of the most dramatic features of the park. Park lodges fill up well in advance, so do make your reservations early. There are a great many visitors to these attractions during the summer season, and making reservations in January for a July vacation is not too early. 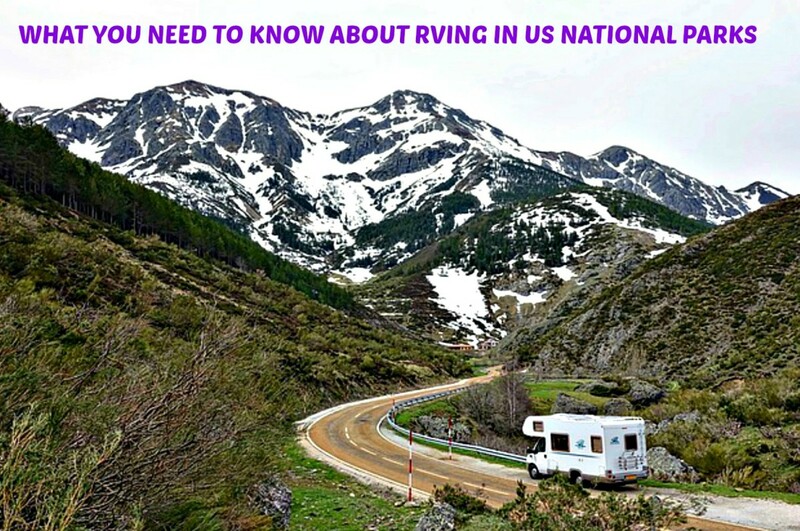 If you will be camping or RVing, there are usually a number of campgrounds to choose from in the larger parks, but many don't take reservations. If you plan to stay at one of the non-reservable sites during a busy time of year, you should plan to get to the park early in the morning or you may be out of luck. When camping in an RV, do check ahead for size limitations. 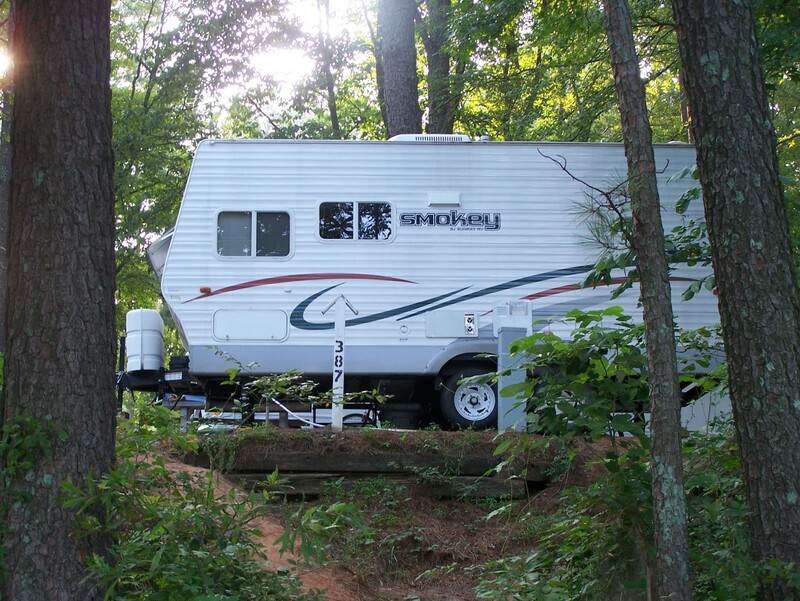 Many National Park campgrounds can only accommodate rigs that are 35' or less. At campgrounds that do take reservations, make your reservation well in advance through the National Park Service website, www.Recreation.gov. Check your National Park camping directory or an on-line site for campground information. Each National Park has a brochure and, usually, a park newspaper which tells about the history, ecology, animal life and sights in the park. There is usually an article about safely that is well worth reading before you venture out on your own. Consult a Ranger at the visitor center about visit and pay close attention to the park's rules and safety tips. Be sure to get advice from the knowledgeable Park Rangers if you are exploring or camping in the back country. Writing about National Parks, I’ve been reminded of some of the clueless sightseers we’ve seen. Some sightseers seem oblivious to common sense rules of safety. Others have you shaking your head in amazement as they merrily ignore all signs and warnings. Still others have you recoiling in horror. Here are some common sense tips to make your trip safer and more enjoyable. When traveling off-road, be sure you and your vehicle are equipped for the ruggedness of the road. Carry charged cell phones, a CB radio if you have one, and extra water as well as some basic tools in case you have a flat tire. Check with Rangers for maps and details. A GPS will tell you where you are, but it won’t tell you about the washout halfway up the mountain or the boulders blocking the road. 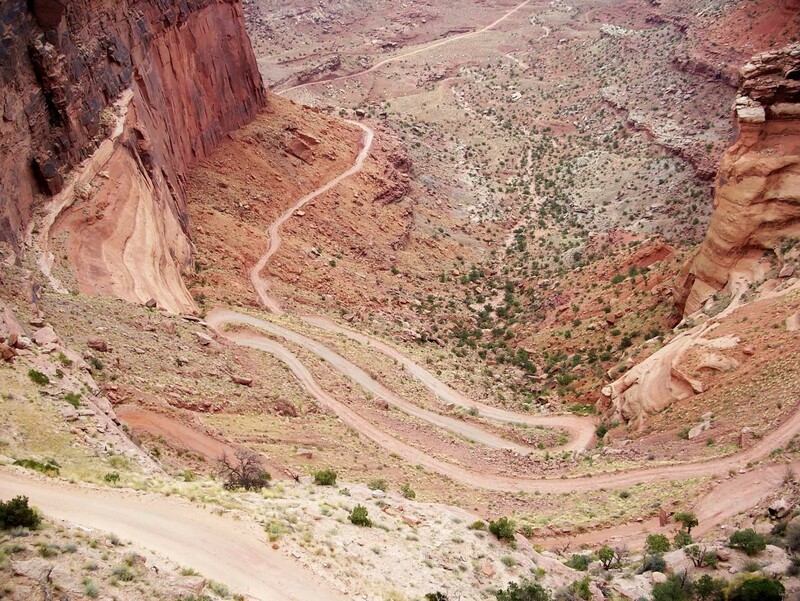 In Canyonlands National Park there is a treacherous, one-lane, gravel, rock and dirt road that winds it’s way from the bottom of the canyon to the top, literally climbing the wall of the canyon. Always up for an adventure, we stocked our little Jeep Wrangler 4WD with maps, water, food, and other necessities, consulted a ranger about the road and decided to give it a try. About two miles from the top, the road narrowed to barely one lane wide with rocks and sheer cliffs on one side and a drop off into the valley on the other. There were no guard rails. 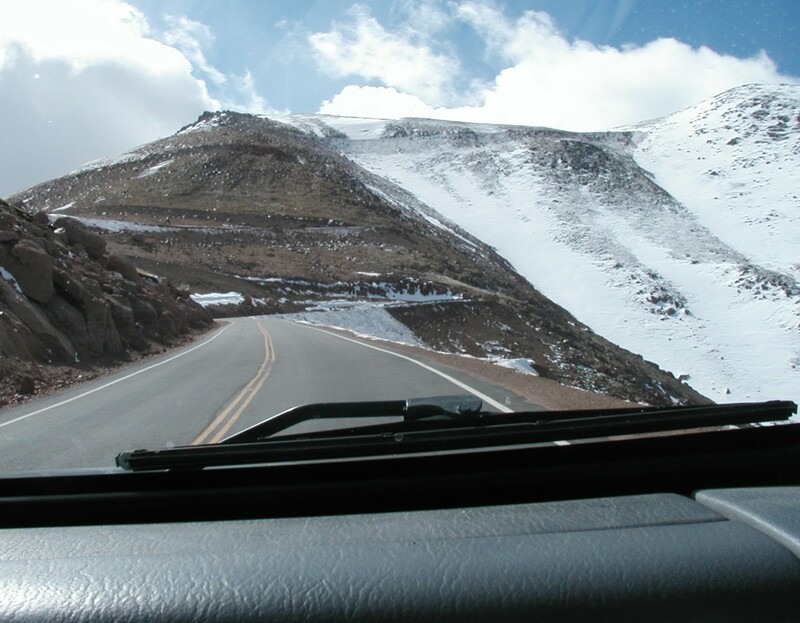 In places, the switchbacks were so sharp that we feared our back tires would hang off the edge as we rounded the curve. That’s when we saw the car coming down the mountain at us. Luckily, there was enough time to find a wide spot where we could pass each other with inches to spare. We had to stop and watch as the brand new Cadillac Escalade crept down the mountain road! Of course, there was no place to turn around, so it’s not like they had a choice at that point, but I could hardly watch as they nearly scraped the rocks on one side while their tires teetered on the edge of the road on the other. We couldn’t see them reach the bottom. I hope they arrived safely by road rather than taking a shortcut over the edge. At the Grand Canyon National Park, there are places where only a single pipe railing stops visitors from plunging off the cliff into a mile deep abyss. Here, on one of the viewpoints, we saw a young man with a camera urge his lady friend to scoot under the railing and stand on the other side at the edge of the cliff so that he could get a picture of her without the railing in it. AND SHE DID IT! 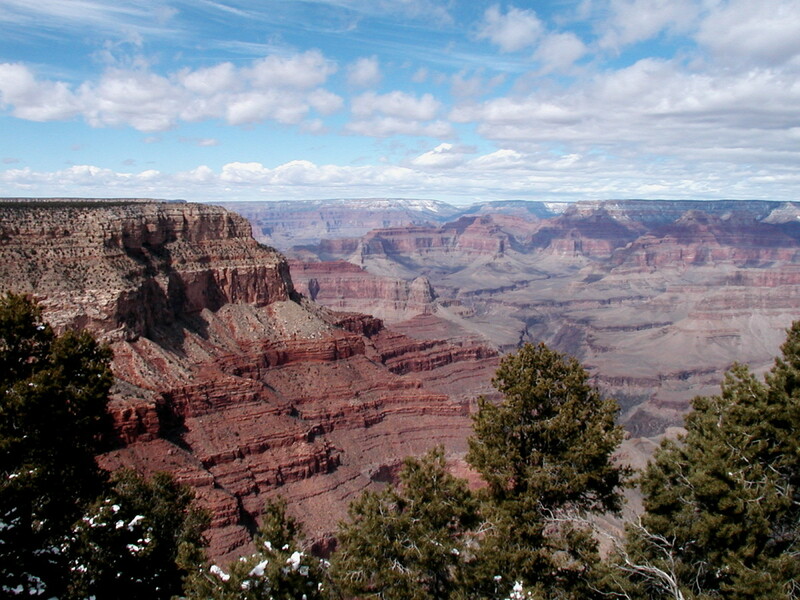 Every year the Grand Canyon is visited by more than 5 million people. 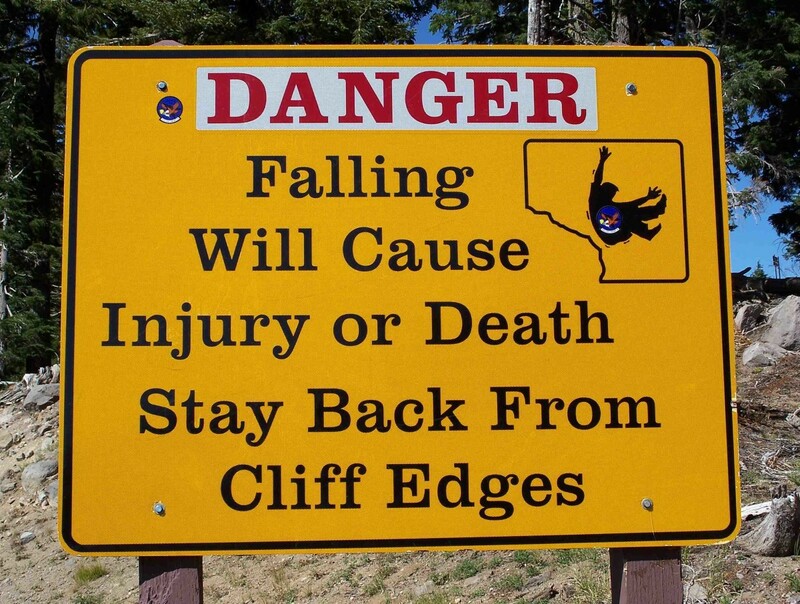 One or two tourists plunge to their deaths every year because they ignore warning signs. This is a comparatively tiny number, unless you or someone you love is one of them. That couple was lucky as neither one had a mishap that day. If you are walking, even on short paths, wear walking or hiking shoes with non-skid soles. In Death Valley National Park, there is a place called Zabriski’s Point where the setting sun turns rocks a brilliant orange and visitors abound. To get the best photos, visitors climb a fairly steep, gravel path to a lookout point. While we were there, a group of well dressed tourists in flip-flops and high heels tried to navigate a gravel path. Going up was bad enough, but upon coming down, they kept sliding out of their shoes on the steep path and ended up walking barefoot which was not only dangerous, but painful, too. A sharp rock or a cactus spine can teach a painful lesson about wearing proper footwear while falls and twisted ankles are common mishaps among sightseers who are unprepared for the terrain. If you are near the ocean, get a tide schedule. 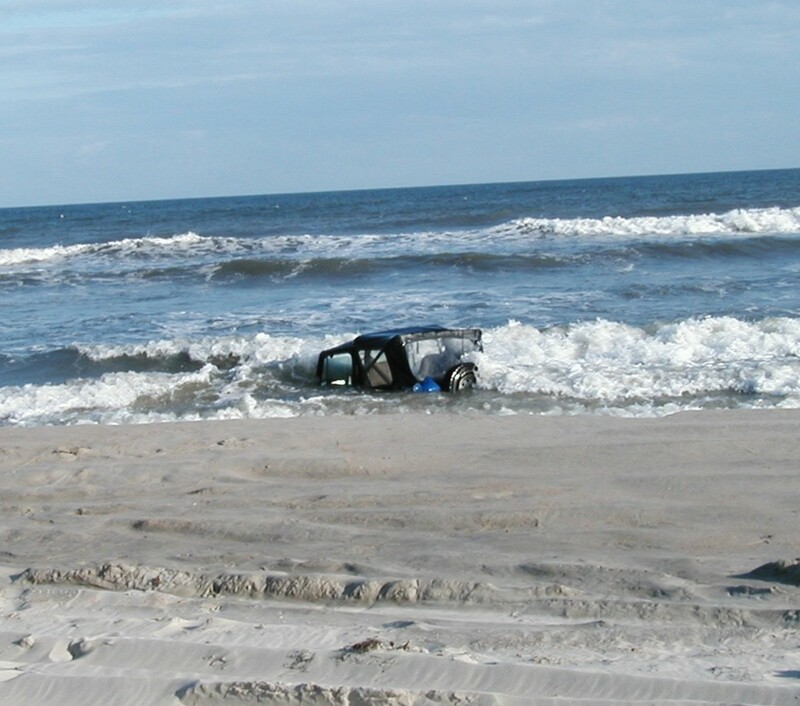 On many of the beaches of the Outer Banks of North Carolina, you are allowed to take a 4-wheel drive vehicle. We often drive on the beach to go surf fishing or to swim. On one such trip to the Hatteras National Seashore on Ocracoke Island, we were about to leave the beach when we saw another Jeep at the water’s edge with water lapping at it’s tires. We knew it was going to be in trouble with the tide coming in, but there was no one around to warn. Apparently, the owners went for a walk down the beach. We could only hope they came back before it was too late. We continued on our way, enjoying the beach for an hour or so before coming back to see if the Jeep had been moved. But no, there it was with the waves breaking over it’s roof and a sad lady sitting on the beach nearby. We knew there was no getting it out at that point. Asking if she was o.k., we were told a tow truck was coming, but the nearest towing service was on another island and would have to wait for the ferry. Moral of the story: always know if the tide is coming in or going out. On other coastlines where there are high banks or cliffs along the beaches, knowing the tide schedule is especially important, as incoming tides can cut off the trail back as well as the trail forward. Be prepared for bright sunlight when you will be outdoors all day. Sun shining on snow or water can not only be blinding, but can cause bad sunburns. The worst part of this is that it usually occurs on the first day of the week-long vacation, thereby ruining the next five or six days. It is very easy to get burned without realizing it until it’s too late, particularly if you are near water. Do not feed or try to pet wild animals. 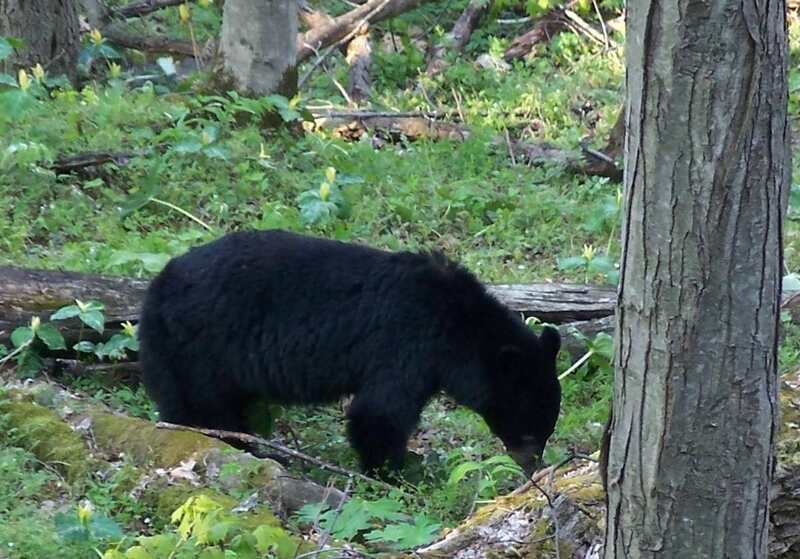 Even the cute, fuzzy ones, like baby bears, can put you in extreme danger. Tourists who do not respect wildlife are the ones who can make anyone gasp. Take the average bear ; they have a big roar and they have big teeth and a lot of claws. Yet, some tourists seem to think that wild bears are related to the cuddly stuffed Teddy Bears just because they are fuzzy. So, despite signs and verbal warnings, sightseers are always trying to get that perfect close-up picture of a bear. In the Great Smokey National Park, we saw a man get chased back to his car when he got too close to a foraging bear. Luckily, the bear didn’t pursue him all the way to his cute little convertible with the top down. Is there something about parents with cameras in hand that makes them lose all common sense? In Banf, BC we were thrilled to see mountain goats grazing on the steep bank along the road with their young. Like many others, we pulled to the opposite side of the road to get a photograph. Not satisfied with a picture from across the road, one father grabbed his two toddlers, ran across the road and put them on the hillside as close as he could get to the young kids while the male goat snorted and stamped it’s feet. But Mom got the pictures before Dad and the young ones were gored. 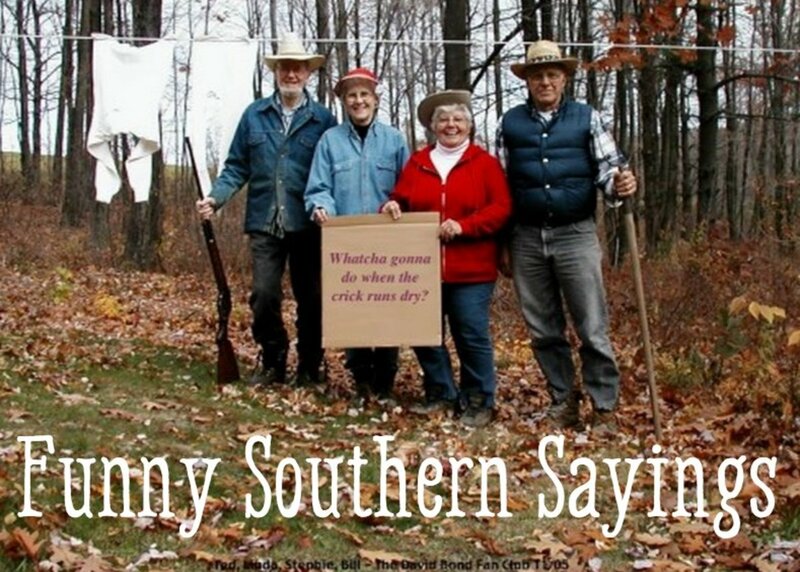 It's Cold in Them Thar Hills! Remove a layer if it gets warm, add a layer if it's cool. Always keep an extra jacket or sweatshirt in your car or backpack as temperatures can change dramatically in a few minutes. It's amazing how many people will leave their hotel wearing shorts and short sleeved shirt and drive to the top of a 10,000 foot mountain. Oh, yes, the air is MUCH cooler there. And you left your jacket in the hotel. Temperatures can drop thirty or forty degrees between the valley and the mountain top. Be aware of any special dangers that may lurk in unfamiliar territory. 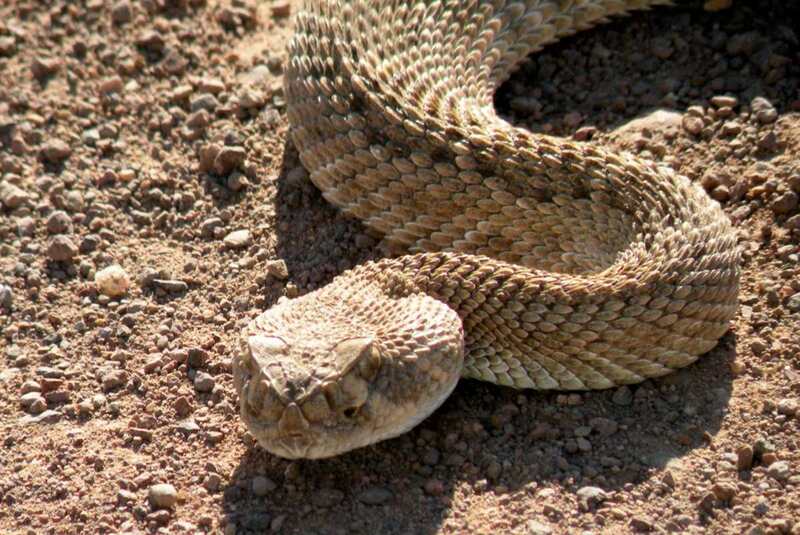 Rattlesnakes, cactus, poison ivy, ticks, chiggers… check at the visitor center before you go hiking to find out what precautions you should take. We’ve seen sightseers walk in the desert in sandals and flip-flops; apparently they never heard of rattlesnakes or cactus. Oh, wait, was that a scream of pain I just heard? 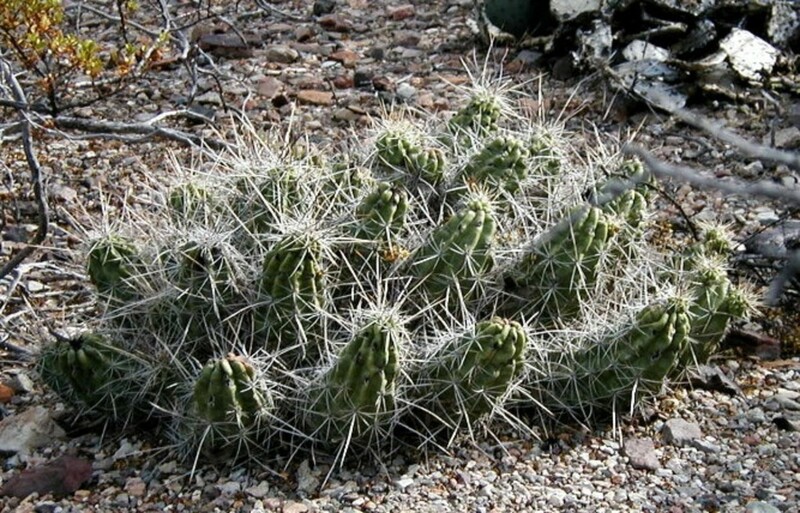 I learned by experience to be very careful of cactus when I accidentally backed into a cholla cactus. The barbs stick into clothing and skin upon contact, and they do not release easily. My husband was rolling on the ground laughing, but it really was not funny. Luckily, he had his trusty Swiss Army knife with tweezers. It sure came in handy! We had one terrible episode where we picked up ticks and chiggers on the same hike. Some insect repellent and proper clothing would have saved us a week of discomfort. 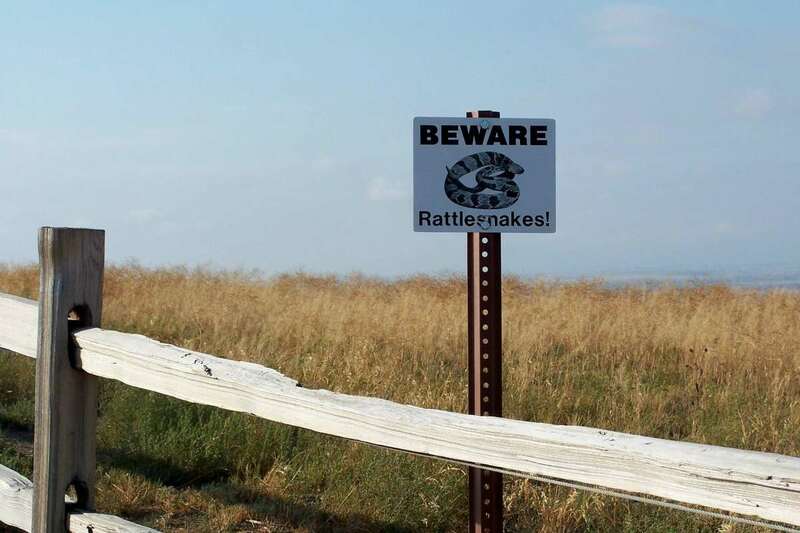 Oh, and the rattlesnake signs…even if you don’t see the snakes, if there are signs, there is a good chance the snakes are there somewhere. Watch where you walk, never step over a rock or branch without knowing what’s on the other side. In National Parks, especially, there are many sights to see just off the beaten path. While a quarter or half-mile walk to see a beautiful view or waterfall isn’t very far, often the terrain is rough and paths are narrow. Because these are preserved natural areas, stores and restaurants might be many miles away. With this in mind, prepare a backpack or your car with certain gear to make your day more comfortable and safe. Carry a small first aid kit in your backpack or car. Always carry extra water. We buy a gallon of water and fill individual stainless water bottles to carry with us. Pack a light lunch, fruit and snacks. If you are exploring a National Park, it’s often many miles between places where food is available. Charge your batteries the night before. Cell phone and camera batteries should be fully charged before you leave for the day. Take extra camera batteries just in case. 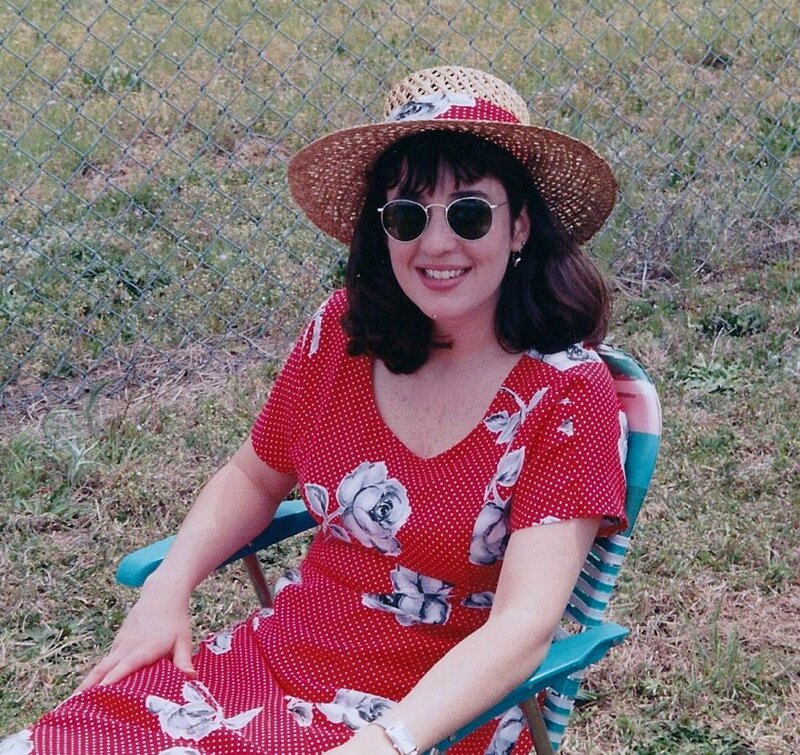 Wear a hat with a visor; take sunglasses, lip balm and sunscreen. Somewhere on your person, carry emergency contact information in case you are injured. Include the name of the place where you are staying. We like to keep a duplicate of this information in our car. National Parks are a wonderful place to enjoy nature. Each park is a piece of history as well as an opportunity to see nature close up. Your visit will be thrilling and enjoyable if you are well prepared, dress sensibly and take warnings and signs seriously. Have a wonderful time wherever you choose to go! What I value when traveling to the U.S. are the national parks. They are truly magnificent and visiting them make one appreciate nature more. thomdrilling - Thanks, Thom. Visiting and camping in National Parks is a top priority in our travels. We see people do some crazy things, though! Thanks for stopping by! ccdursina - Thanks for stopping in...glad you enjoyed the hub and photographs! Great post, I can see those pictures you posted as I am on location! I think you did a great job! Hi Peggy W - It does seem that we've been to so many of the same National Parks and other places...maybe one day our paths will cross! I'll be wearing a pink hat and carrying a camera! :) I do think that people visiting natural areas should be prepared to enjoy them safely. Thanks for the read and your comment! Good advice Stephanie. We like many of the same places! I absolutely love our national park system! Voted up and useful. Actually, the picture taken in Canyonlands was from the edge of a cliff! It's a beautiful place. The rattlesnake picture was with a telephono lens out of a car window -- I didn't want to get too close to him! Thanks for visiting my hub and commenting! Loved your picture of Canyonlands - I felt like I was hovering at the edge of that cliff! Also, the rattlesnake - scary! Thanks for the good info! Some great travel advice & lovely pictures, rated up and beautiful!